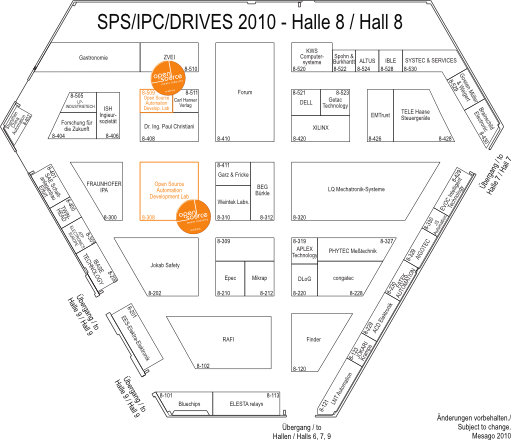 This year's OSADL booth at the SPS/IPC/Drives in Nuremberg, Germany, is in hall 8, no. 509 (November 23 to 25, 2010). Have a look at OSADL's latest coup: The Linux real-time quality assurance farm! Want to know more what it is all about? Visit us and we'll explain why you should not miss this important step towards a generally accepted and validated real-time operating system for the automation industry.